Today is Armenian Genocide Remembrance Day. On April 24, 1915, officials in Ottoman Turkey rounded up over 200 Armenian intellectuals and deported them. Most of them were eventually murdered. 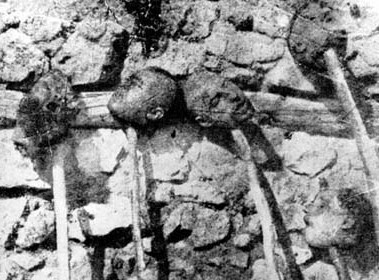 This is considered the beginning of the Armenian Genocide and is now the day we remember what happened. 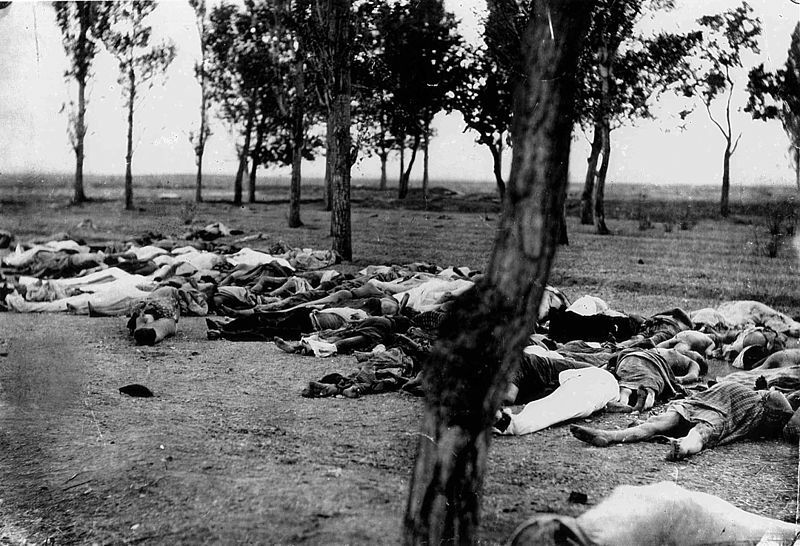 That massacre kicked off a nearly decade-long period when Armenians living in Ottoman Turkey were arrested, deported and killed. From 1914 to 1923, an estimated 1.5 million* Armenians were killed. Some were massacred, hung or shot. Some were beheaded, their heads placed on stakes and paraded through town. Some were sent to concentration camps, which were mostly holding cells for the nearly dead and, eventually, mass graves. Some were trapped in their villages, which were burned. Some women and children were put on boats, taken out to sea and thrown overboard to drown. 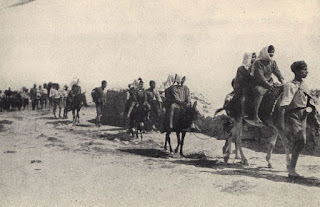 Some men were forced into work camps or sent on fatal missions for the Turkish army. 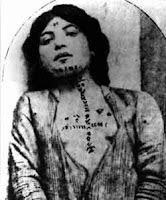 Some woman were sold as slaves and concubines. Some were exposed to toxic gas. Some were given intentional morphine overdoses or purposely injected with typhoid by Turkish doctors. Many were sent on death marches through the desert where the lack of food and water paired with harsh conditions killed them slowly. Those who lived and the descendants of those who lived have a responsibility. We must remember. We must tell the story. History is full of atrocities. It is much more comfortable to forget these terrors or to view them as part of a distant past than it is to remind ourselves of such horrors. It may seem unnecessary to hold on to events that happened a century ago. But memory is a powerful thing. In a 1939 memo, outlining his plans to attack Poland, Hitler surmised that his brutal activity would cause little consequence. 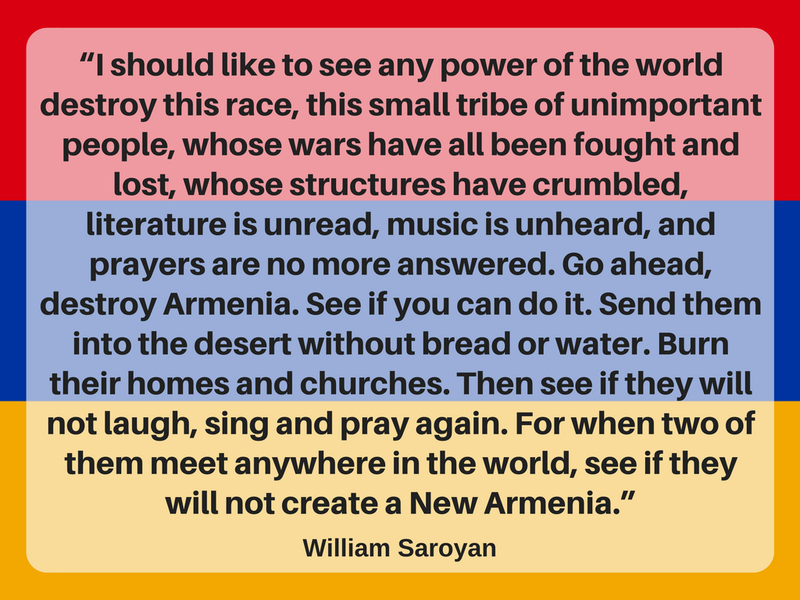 He rationalized this saying, "Who, after all, speaks today of the annihilation of the Armenians?" Not even two decades after the end of the Armenian Genocide, Hitler was sure the event was forgotten to history. 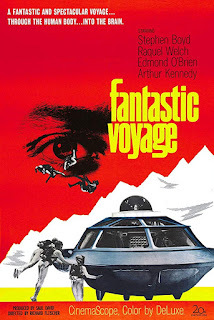 With that knowledge, he rationalized that his own horrific plans would cause little stir. Remembering, telling the stories, again and again, lets those who would attempt to commit such crimes again know that someone today does speak of the annihilation of the Armenians and of the countless other people groups who have been subjected to such attacks. Remembering also honors those who died and those who survived. It acknowledges our identity as the Armenian diaspora, those of us scattered around the world where our ancestors took refuge. This act of memory for Armenians isn't simple. The Armenians Genocide goes unacknowledged in most of the world. The current Turkish government still denies it ever happened, and Turks who publicly acknowledge that it did, face criminal charges for insulting "Turkishness." In remembering each year and throughout our years, we are educating and enlightening. The world is not a safe place for those who are different. The world is not a safe place for those without power. The world is not a safe place just because we choose to ignore or forget the pain it contains. Avoiding history, even history that is happening right now will only ensure we repeat it. Genocide, massacres, ethnic and religious cleansings and whatever else we want to call them continue to happen, and we must continue to remember. We must continue to tell the stories and honor the victims. We must also challenge ourselves to not only acknowledge but also respond to the terrors happening in the world around us. Today is Armenian Genocide Remembrance Day. Today, I remember with my fellow Armenians the plight of our ancestors. Today, we tell their stories. Today, we are proud of their courage. Today, we remind the world that we were not destroyed. 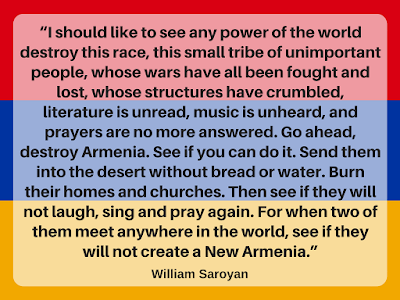 Today, we create new Armenias wherever we are. Watch The Promise, a film about the Armenian Genocide. Read Forgotten Fire by Adam Bagdasarian or The Road From Home by David Kherdian, both of which tell Genocide stories. The latter is a middle-grade book and more appropriate for younger audiences. Find a wealth of information on the Armenian National Institue's website. *This is a highly disputed number. Estimates range from 800,000 to 2.5 million. Powerful, thank you for sharing our story!